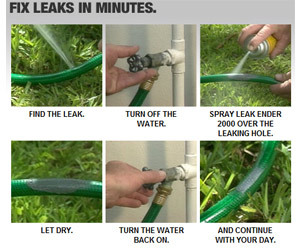 Leak Ender 2000 fixes any leak. Guaranteed. Leak Ender 2000 is a specially formulated liquid rubber compound that completely fills any crack or separation as it hardens, sealing it water tight. Order today and get a free upgrade to the Giant Size Leak Ender for free.